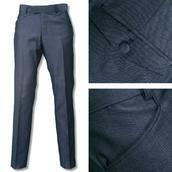 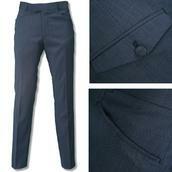 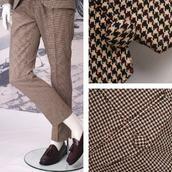 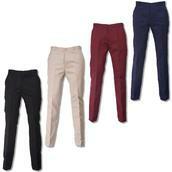 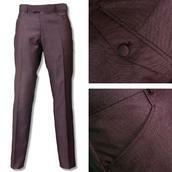 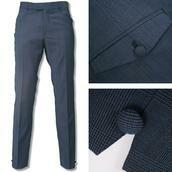 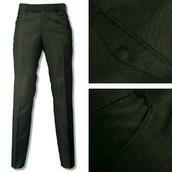 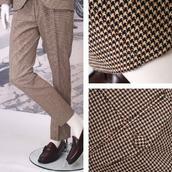 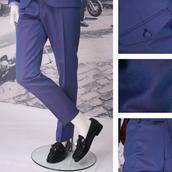 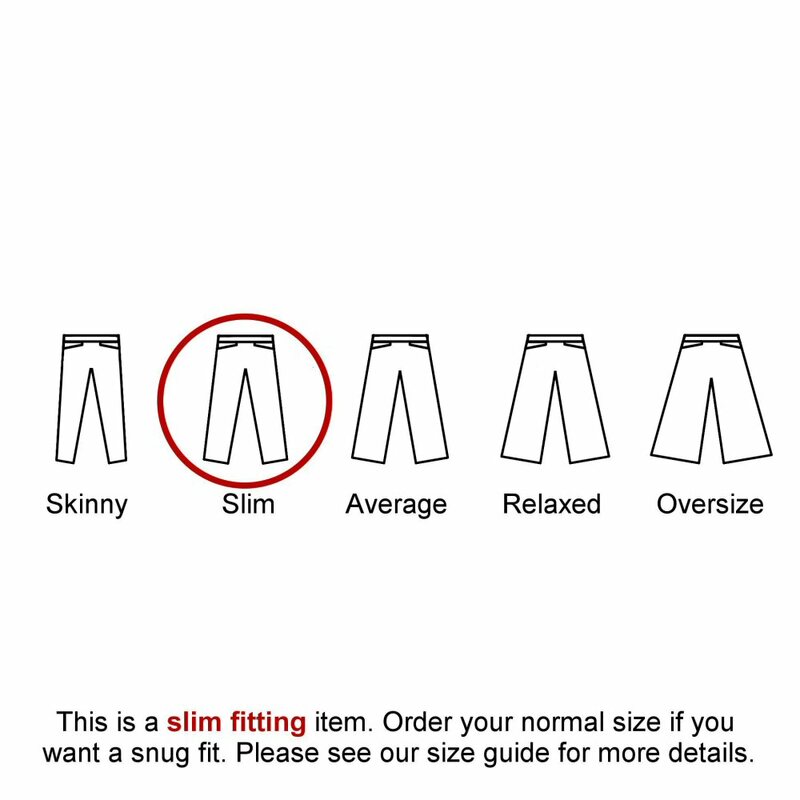 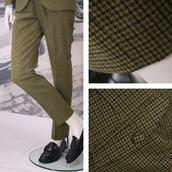 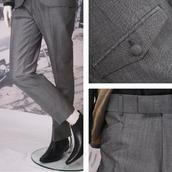 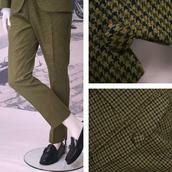 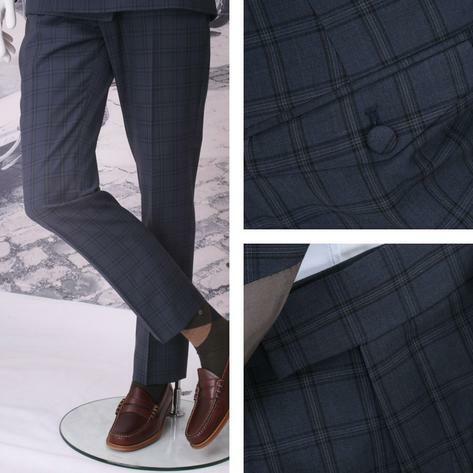 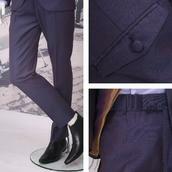 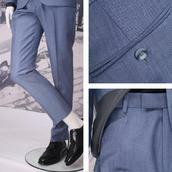 Adaptor Clothing's very own Mod Style Frogmouth Pocket Slim Fit Trousers. 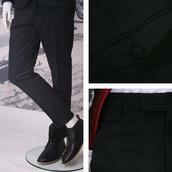 half lined to the front, zip fly with waist fastening button and belt loops, 15" bottoms. 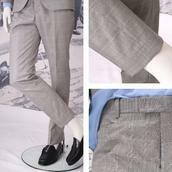 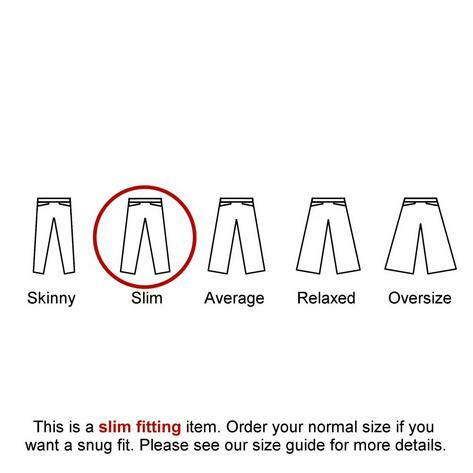 Each waist size is available with a Short (30"), Regular (32") and Long (34") inside leg.